We create HIPAA-compliant content marketing campaigns to invite new patients to visit your office. Using helpful video, written, and audio content, our content-first approach helps you stand out. Modern marketing for the forward-thinking healthcare organization. Never worry about your practice website again. Mobile-first, HIPAA-compliant websites to showcase the most memorable part of your practice: you. Our website design resembles social media-like profiles that invite new and existing patients to quickly form a human-to-human connection. Create social media content and be where your patients are. How is your Facebook content? Are you connecting with patients on Instagram? 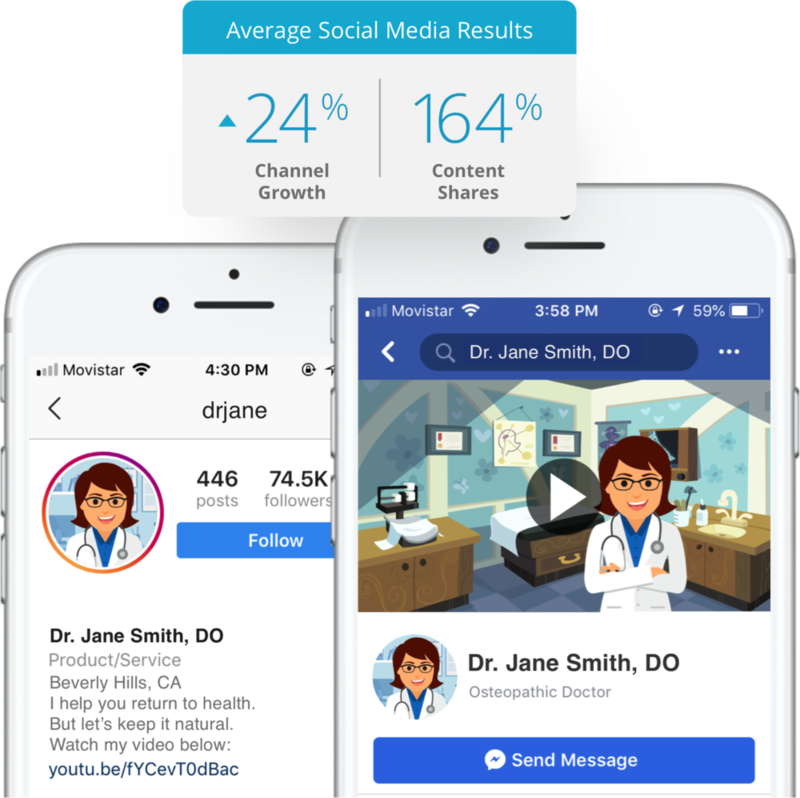 Our social media strategies help your physicians connect with patients on a daily basis with personal and interactive social media content, and stay HIPAA-compliant across all communications. Personalize the way new patients experience your services and content by creating unique quizzes for each condition you treat. Are you an osteopathic physician? Let new patients learn about why an OMT treatment may be right for them. Content your patients care about. On the platforms they can't live without. We work with key social platforms, scheduling software, and your (soon to be) favorite tools. Thanks for getting in touch. I will be in touch with you shortly.